Exustar began in 1993 as Exus, a special project at pedal maker VP Components. Initially Exus concentrated on high-end pedals, but Exus engineers were convinced competitive cyclists would be better served by a fully-integrated clipless pedaling system. 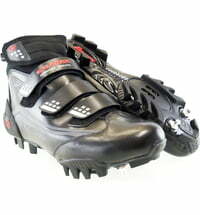 So in 1995, Exus began producing cycling shoes as well as clipless pedals. In 2002 it was decided that Exus would best fulfil its potential independently of VP and a buyout by Exus management was arranged. All key staff were in place when the business was re-launched and rebadged as Exustar the same year. Since then product development at Exustar has been exponential as the company developed and introduced other bicycle products. Business has grown steadily and there have been a number of milestones for Exustar in the last years. The biggest development came in 2006 when Exustar applied over a decade's worth of shoe tech experience to the motorcycle industry: the result was a line of motorcycle boots, that has been followed by a range of motorcycle helmets and apparel. Headquartered in Taichung City, Taiwan, the company also maintains offices in the Netherlands and China.